A new study suggests that one-quarter of people have fewer and less diverse intestinal bacteria than the rest of the population. A five-year, EU-funded study - which used pioneering DNA analysis and bioinformatics techniques to map bacteria found in the human intestine - has revealed that roughly one in four people have fewer intestinal bacteria compared with the rest of the population. According to the MetaHIT team, coordinated from the INRA Research Centre in Jouy-en-Josas, France, this is because these individuals have 40 per cent fewer gut bacteria genes. In addition to experiencing a lower intestinal bacteria count, they also suffer from below average bacterial diversity in the gut - something that has been linked to a range of different health problems. 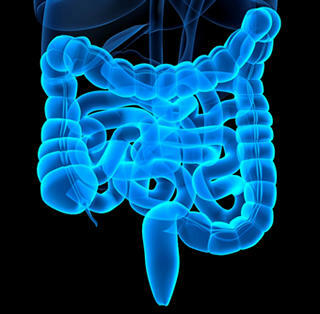 Professor Oluf Pedersen, scientific director of the Faculty of Health and Medical Sciences at the University of Copenhagen - who headed the Danish branch of the research - compared the human gut and its bacteria to a "tropical rainforest". "It appears that the richer and more diverse the composition of our intestinal bacteria, the stronger our health," the MetaHIT team reported. These microorganisms are responsible for a number of activities that have a positive impact on human biology, including the production of vitamins, strengthening the host's immune system and communicating with nerve cells. Researchers claimed that the one-quarter of people who showed fewer and less diverse intestinal bacteria are at higher risk of obesity, and are also more likely to carry bacteria that cause mild inflammation in the digestive tract and elsewhere in the body. Previous studies have shown that these strains of bacteria affect metabolism and increase the host's risk of developing type 2 diabetes and cardiovascular diseases, Dr Pedersen said. Individuals who are conscious of safeguarding the health of metabolic functions should ensure they are getting enough essential vitamins and minerals in their diet, as these not only help with these processes, but also numerous other biological pathways in the body. A formula such as Vitamin Max B-ND by Premier Research Labs - available from the Really Healthy Company and suitable for vegetarian and vegans - could be the perfect supplement for this purpose. It is a naturally-sourced, whole food, probiotic cultured, end-chain liquid vitamin B complex, containing vitamins B1, B2, B3, B5, B6, B7, B9 and B12. Comprising all of the essential B vitamins that the body needs for processes such as cell reproduction, immune system support, cell energy production and maintenance of cell and mucous membranes, the supplement is arguably one of the best Vitamin B-complex nutritional supplements on the market.